Welcome to the IU Goes to Korea and China blog. Please visit this site regularly for stories and insights into Indiana University’s trip to two economically dynamic, culturally vibrant, and technologically advanced nations that play a major role in global affairs. 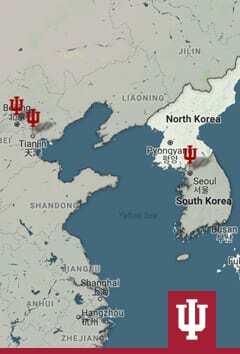 Here you will find information about IU’s numerous academic ties to East Asia, where the university’s years of engagement efforts have led to educational and research partnerships, cultural exchanges, and opportunities to connect with successful IU alumni and friends abroad. View the full-size interactive map. See the latest trip photos. A veteran member of IU’s news and strategic communications team, Piurek currently serves as IU assistant vice president for public affairs and presidential communications. A graduate of IU’s Media School, Piurek leads public affairs initiatives in support of IU’s academic programs and initiatives, including IU’s international engagement efforts, while also managing a broad range of communications activity in support of the bicentennial strategic priorities of the IU Office of the President. 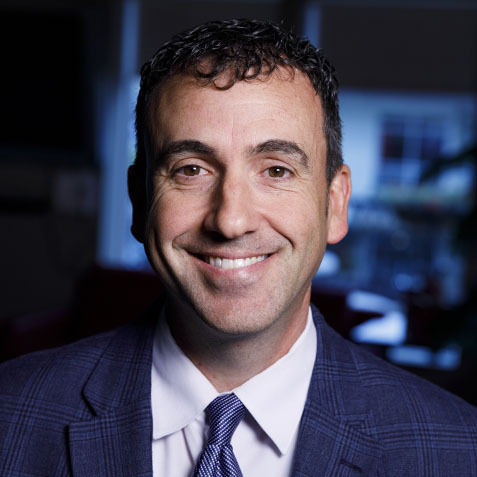 Piurek is a Connecticut native who has been living in Bloomington for nearly two decades, with past experience in newspaper reporting, public relations, marketing, advertising, and copywriting.